The number one seed Jun Mizutani won't be defending his title, as Cho Seungmin sends him home early. Meanwhile, Simon Gauzy is looking to invest in his table tennis and his girlfriend. Cho Seungmin (KOR) has knocked out defending champion and no.1 seed Jun Mizutani (JPN) in a seven game thriller this morning in the Men’s Singles at the Seamaster 2017 Australian Open. Cho dropped the first game 9-11, but then raced to a 3-1 lead. A comeback was on the cards as Mizutani negotiated his way back in to the match, bringing the score level. At that point in the game the top seed would have looked like the favourite, but Cho had other ideas. The final game was over within a flash. Cho dominated the table and closed out the match 11-4. With the top seed dispatched, is he a favourite for the title? Cho’s semi-final opponent will be Simon Gauzy (FRA). Gauzy put up a convincing 4-0 win against Masaki Yoshida (JPN) and has his eyes set on the top prize. And what would he do with the prize money? But Gauzy thinks he can also spare a little change on that special someone. 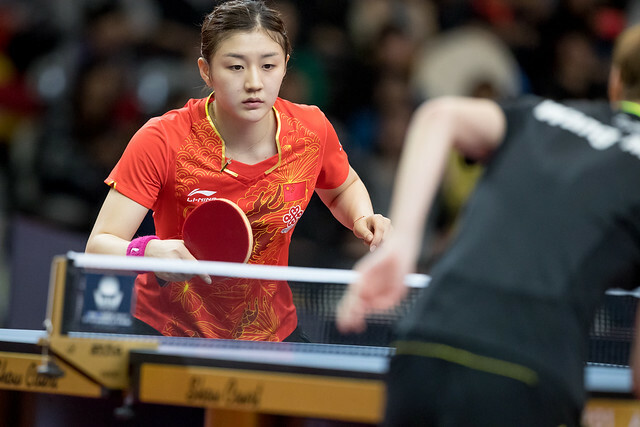 Be sure to catch all the action live at tv.ittf.com.